Day three was not bad at all! I found myself less fatigued, had a bit more energy than the previous day, and didn't feel such a strong crash in the AM without eating solid food. I was also thankfully less irritable. I actually staved off having a snack until about 12pm, after my two morning shakes, since I was really busy with work and unable to grab my lunch from the fridge until about 1pm; but that snack was just some lightly salted cashews. I seriously need to watch the salt though, I'm thinking that's probably why I'm more bloated in the evening. I think tomorrow I'll try to reduce my salt intake even more. Lunch, which I forgot to take a photo of, was a kale and arugula salad with that lemon vinaigrette, tossed with shredded carrots, kalamata olives, slivered almonds, a piece of that red curry chicken that I made on Sunday, sliced cucumber, and an avocado. Later in the afternoon I had my third shake and a cup of cherries. For the sauce, I eyeballed about a tbsp of tahini paste, some apple cider vinegar, s&p, a bit of EVOO, turmeric, curry powder, and a dash of cayenne. HOLY MOLY was it delicious! It almost tasted like a pad thai sauce. 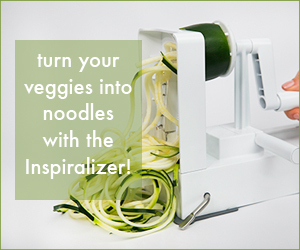 I highly recommend making it to serve over spiralized zucchini. I added some pistachios to give the dish more crunch, and because I love pistachios. I also had one of those pieces of salmon I cooked. I'm a tad worried I'm eating too much meat? But I'm scared I will be ravenous! Tomorrow, since I'm planning on cooking my lamb, I might skip meat with my lunch. We'll see. Plus, it will be my first work-from-home (WFH) day since starting the cleanse. I had planned to WFH today but it ended up being quite busy, and plus people were visiting from a different office. Yada yada! So far, so good! I'll let ya know how the lamb comes out tomorrow. Also, I'd love any recommendations for meal creations I could eat while on this cleanse! I've been poking around Dr. Lipman's Pinterest board for what to eat while cleansing, and that's given me some great inspiration thus far.